Shaped like a pouch or bag. Leaf base consistes of two triangular lobes pointed downward, like an arrow-head. A corolla with a basal tube that expands out into a flat limb. A winged, dry, indehiscent fruit (achene) that has wings. A watery solution of sugars, salts, and minerals that circulates through the vascular system of a plant. 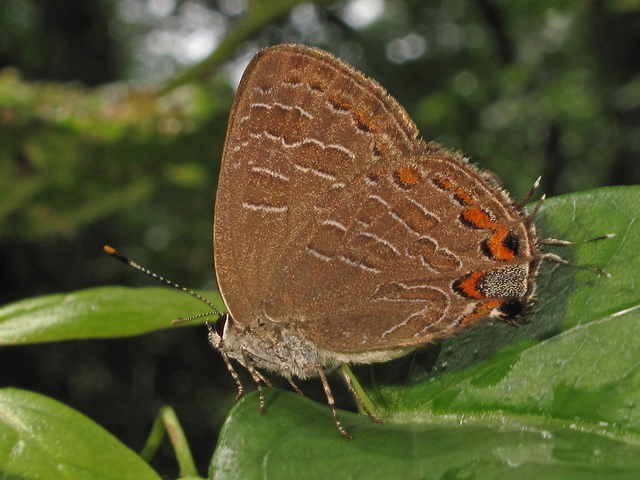 Striped Hairstreak, photo ©Alan Cressler. Sparse woodland with a dense, grass-dominated herb layer subject to frequent burning. Species is listed as Special Concern in the indicated New England state. With the rough texture of sandpaper. A tiny, modified, usually wedge-shaped leaf. A flower or inflorescence stalk that arises without leaves from ground level. Thin and dry, often paper-like. The smell given off by a plant or plant part; usually indicates an underlying chemical or signal. A dry, dehiscent fruit that splits into sections, each holding a single seed, as in some plants in the Apiaceae (carrot family). Resembling a scorpion's curling tail; as in an inflorescence with small alternating branches that curves to accommodate developing flowers. Covered with small, dandruff-like scales. Saucer-shaped; a slightly upwardly rounded corolla. 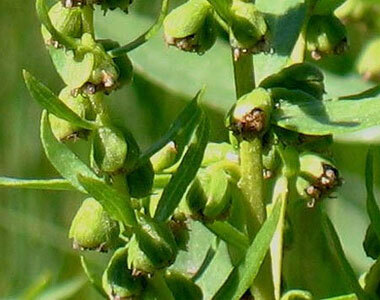 Bearing all like structures on one side of an axis, as with leaves or flowers all pointing to one side. A mature, fertilized ovule that contains the developing embryo (developing plant). 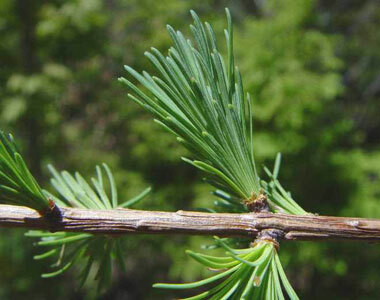 An organ on conifers that contains the reproductive structures; the familiar "pine cone" is the organ that produces seeds. Moist or wet areas where groundwater reaches the surface. Aging, about to die back. A single part of the outermost whorl of flower organs (the calyx). Often green, but sometimes other colors. An organ that resembles a typical, leaf-like sepal in color (green, brown or drab), texture, and shape. With one or more partitions (septa). Splitting along a partition (septum). Silky with long, soft hairs. With small, forward-pointing teeth on the margin; finely serrate. A short, thin, straight bristle. A tubular tissue enclosing another tissue, usually referring to the area where a leaf base encloses the stem (important in grasses and Cyperaceae). A peg- or knob-like shoot (branchlet or other new growth) with closely crowded leaves. A woody plant lacking a tree-like form, usually shorter than 6m (18 feet) and with many stems at the base. A fruit, less than 3 times as long as wide, splitting by two valves (in Brassicaceae). A fruit, 3 times as long as wide, splitting by two valves (in Brassicaceae). The indented area between two lobes of an organ. A freshwater, marshy river that channels water through a wetland. Interior of branchlet is filled completely with tissue. With a gray, dingy color. A structure in ferns and fern relatives that contains clusters of sporangia (spore-producing organs); plural: "sori". An unbranched, fleshy spike with flowers partially imbedded in it (unique to species in the Araceae). A large, sheathing bract that surrounds a specialized inflorescence called a spadix (in Araceae). A species that has suffered a decline (documented by scientific evidence), which could threaten its continued existence, or with a highly restricted distribution or specialized habitat. An at-risk species that may be in need of conservation actions. 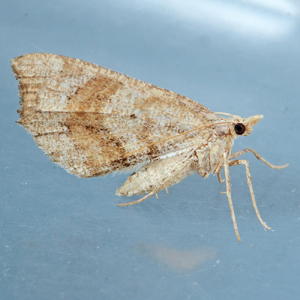 Geometrid Moth, photo ©Mark J. Dreiling. 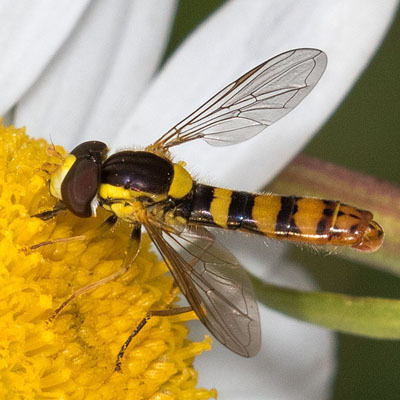 Syrphid Fly, photo ©Joseph V. Higbee, BugGuide.net. 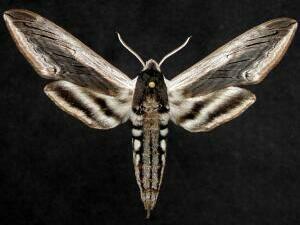 Wild Cherry Sphinx Moth, photo ©Jim Vargo, North American Moth Photographers Group. 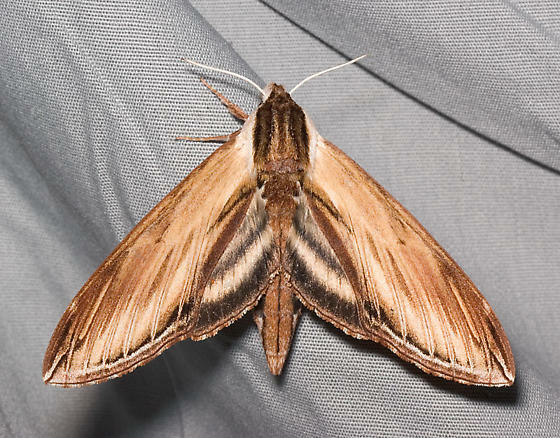 Laurel Sphinx Moth, photo ©Mike Boone, BugGuide.net . A tiny, stiff needle-like structure on the edge of an organ. An indeterminate flower cluster (inflorescence) consisting of a long axis with unstalked (sessile) flowers. In Cyperaceae and Poaceae, the structure contaning bracts and a number of florets. A slender, firm, sharp structure (round in cross-section) derived from a leaf or a portion of a leaf. A modified sporangium that partly covers the sorus in ferns. A small, thin-walled, usually stalked case that bears the spores of ferns and fern relatives (plural: "sporangia"). The tiny offspring of a sporophyte, as in ferns and their relatives. A hard, capsule-like structure that encloses the sorus. A fertile, modified leaf that bears sporangia in moonworts (Botrychium species) and adder's-tongues (Ophioglossum species). A reduced leaf that bears sporangia (spore-producing organs) at its base, i.e., in Lycophytes. A type of plant that produces spores. A tapering, sometimes curving projection. With tips of scales or bracts bending outward to create a rough appearance. Generic term for a slender structure that attaches a small part to a larger support; includes peduncle, stipe, petiole, etc. A highly modified leaf in a flower that bears pollen; anther and filament collectively. The legal protection status of a species (usually as either threatened or endangered), associated with penalties for removing or harming the species. Star-shaped, as in hairs that form three or more branches from a single point. The main supporting axis of a plant, like the trunk of a tree. 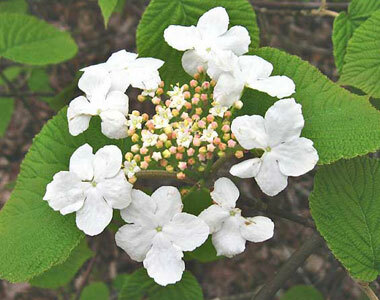 A structure with petals and/or sepals but no functionally reproductive parts; often produced to attract pollinators to more inconspicuous, truly reproductive flowers as in some Viburnum species. The surface tissue that receives pollen during the process of fertilzation, often found at the apex of the style. The stalked portion of the frond stem arising from the rhizome, below where the leafy blade is produced (synonym: "petiole"). Stipule-like outgrowth at the base of leaflets in compound leaves. An appendage, often paired, found at the base of the petiole in some species of plants, a part of the leaf. Horizontal stem growing along surface or just below the ground, rooting at intervals and giving rise to new plants or culms. 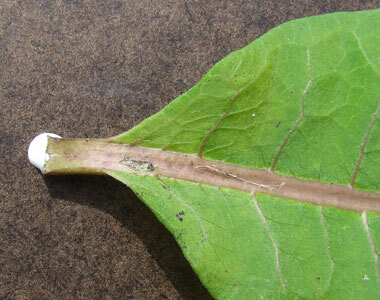 A pore on the leaf that allows passage of gases into the leaf and water out of the leaf (plural: "stomata"). With parallel lines or grooves. An inflorescence or spore-bearing spike covered in overlapping small leaves or scales. 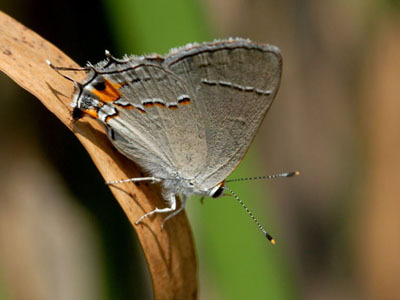 Gray Hairstreak Butterfly, photo ©Herman Giethoorn . The stalk that connects the stigma(s) to the ovary. Below the surface of the water. 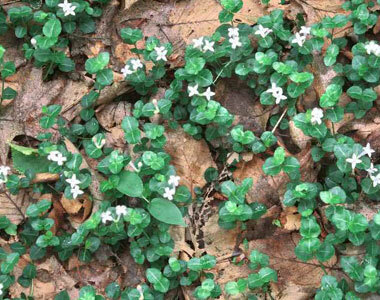 Small plants that are woody mainly at the base, with stems that are tough or only weakly woody; often used for low-growing evergreen species such as Mitchella repens (partridgeberry). To be positioned at the base of, as with bracts of a flower. Narrowly tapering from the base to the apex; awl-shaped. The ovule-bearing organ of a flower that has the other floral parts (calyx, corolla, etc.) attached to its base. An extra (accessory) bud placed above or on top of a bud on the side of a branch. Seam or line at a juncture, usually referring to the place where a fruit will open to expose the seeds. Wetlands dominated by woody vegetation such as trees or shrubs. With equally sized and shaped parts on either side of a central axis. When species often tend to be found together; occurring in the same type of natural community or geographic area. With a discontinous main axis, where stem is a series of superposed branches. Alternative scientific name for a taxon that is not the accepted, current name.